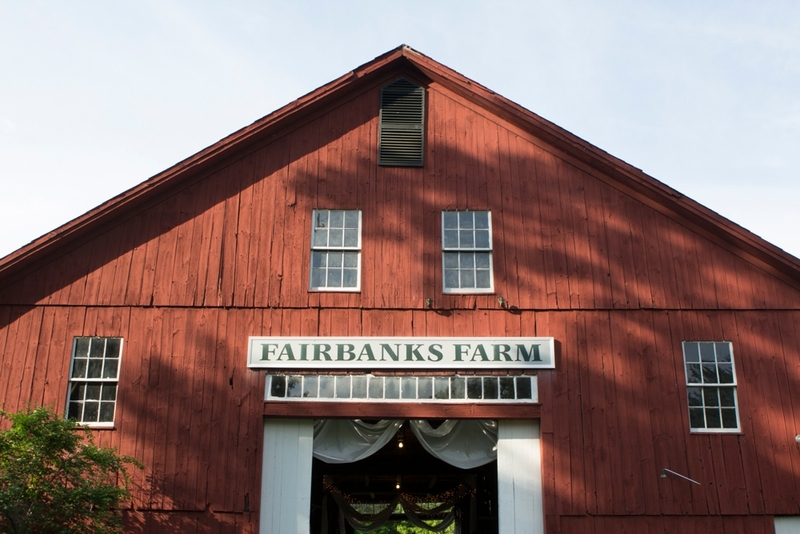 I will always have a love for red barns and this one was special; I grew up passing it probably daily and didn't even really notice it's existence until I met Jillian and Lori. It turns out Lori and I went to the same high school and grew up visiting the same towns, so it was crazy to me when they told me about the Big Red Barn in Holden, MA. 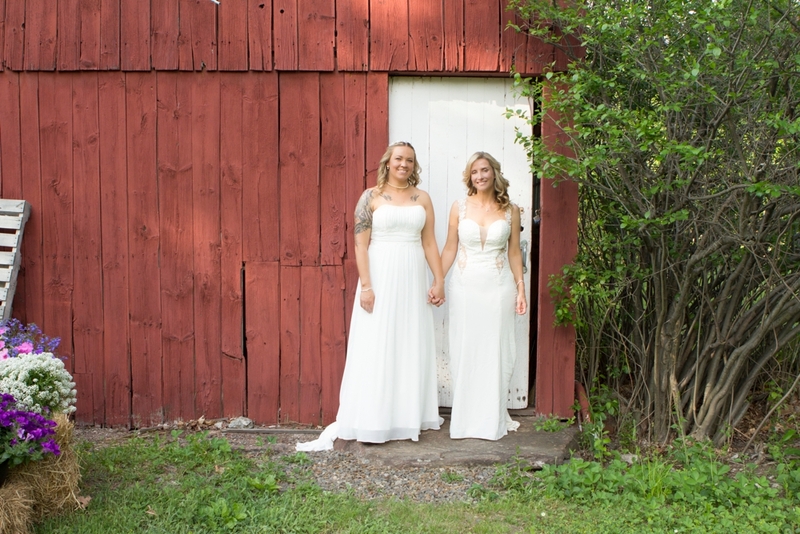 I stopped by a few weeks before their wedding and was amazed at these two women and their efforts to clean up the barn for their wedding day, but was not prepared for how wonderful it would look the day of. 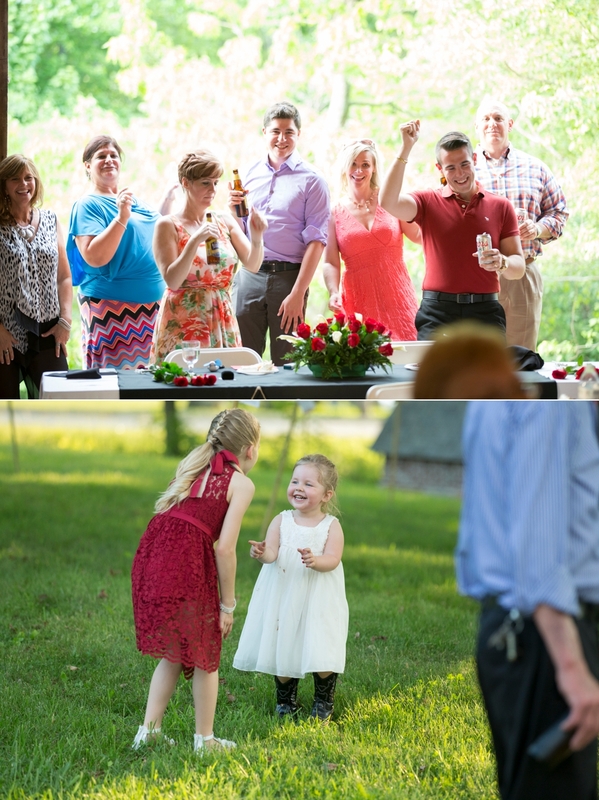 I was in awe of what a sweet, rustic and picturesque space they had created. 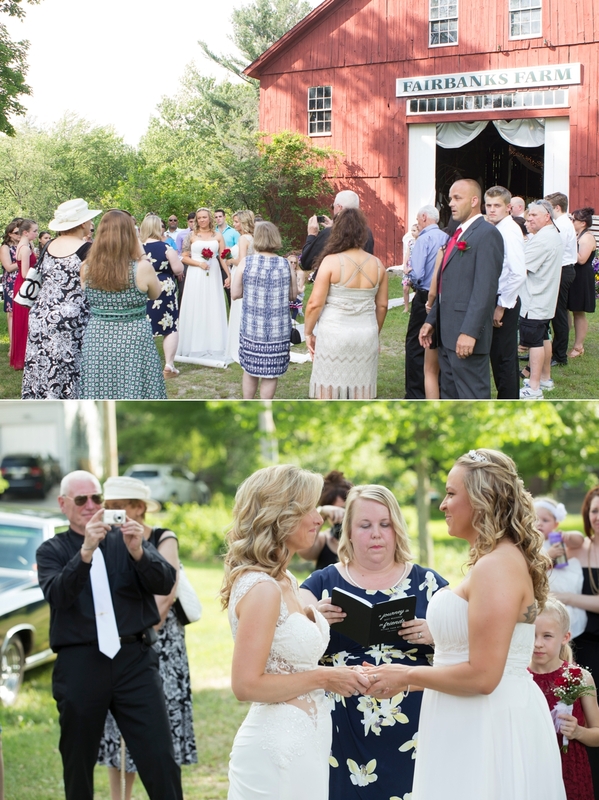 The barn was the perfect backdrop for the ceremony and a great open space for guests to mingle inside and out. 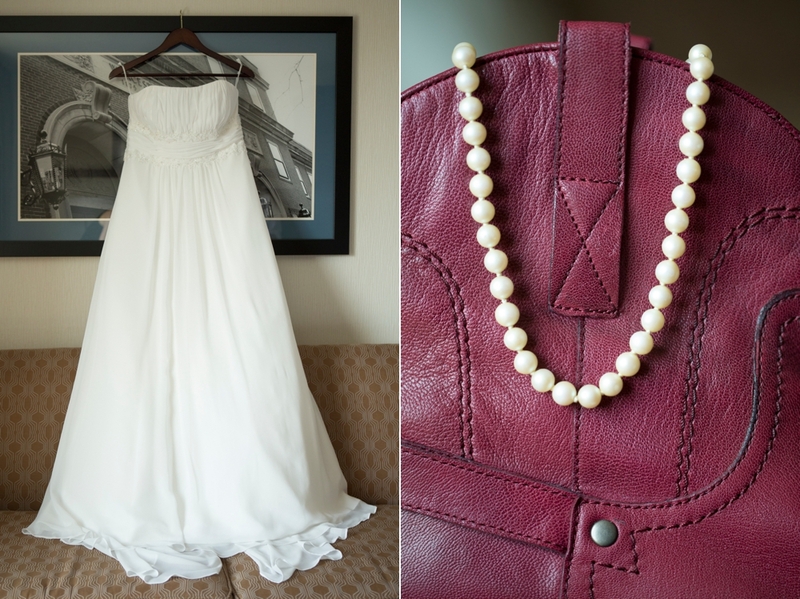 Jillian and Lori are wonderful people, a lovely couple and their day was perfect. I say it time and again, but I really get to work with the most genuine, kind and loving people. Jillian and Lori, they way they smile and enjoy each others company it's the real thing; real, honest love. Plus I could not have been more surprised to learn on their wedding day that they are expecting twins! I am so excited for them, I can only imagine what caring, loving and wonderful parents they will be. 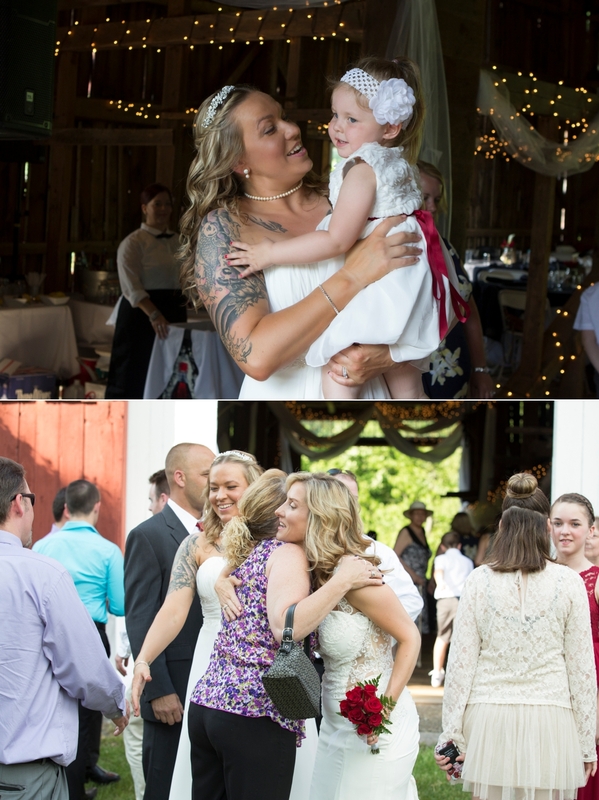 Thank you so much for choosing me to be part of such a special day!